The 'Blog' section in your account will allow you to create your own blog that is automatically integrated into your SnapPages website. 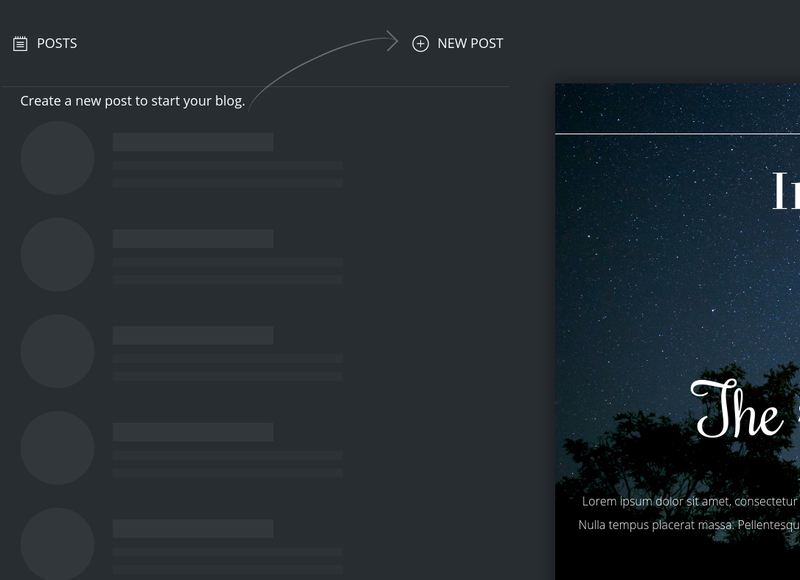 To get started with your blog, click 'New Post' at the top of the page while in the 'Blog' section of your account. Once you've created the post, you will be taken into the Blog editor. For more information on the blog editor, please click HERE to view our help article on the blog editor. Before we get any further, it's important to understand where your blog posts are published when you publish them. Any changes made to your blogs will be displayed on the page titled 'Blog' in the 'Pages' section of your account. If you wish to change the title of this page, access the 'Pages' section of your account, select the page titled 'Blog' (or whatever the current title of the blog page is if you had changed it in the past) and click 'Options' in the upper right hand corner of the page. From there, enter the desired title for the blog page in the 'Page Title' field and click 'Save'. With that out of the way, let's get into how to manage your blog posts. When you click the 'Blog' section, you'll see all of your blog posts shown in a list, with a preview of the selected post shown to the right. As you can probably guess, this option will delete the post you've selected. This option will allow you to moderate any comments submitted in the comments section for that particular blog post. You can reply to comments, mark them as spam, or delete them. This option will unpublish a previously published post. After unpublishing the post, it will no longer display on the live version of your blog (people can't see it online). If you decide you to want to re-publish the blog at a later date, simply select the blog, click 'edit', and then click 'Publish' while in the blog editor. Clicking 'Edit' will take you into the blog editor where you will be able to edit the content on the blog post, in addition to other options. For more detailed help with the blog editor, please visit our help article HERE.